Established in 1967 as Regional Engineering College a joint venture of Government of India and Government of Assam under the administration of a society registered under society registration Act XXI of 1860 and 2002 it was upgraded to the status of an NIT (National Institute of Technology) from a Regional Engineering College. Located in outskirts of Silchar, in the Cachar district of Assam, the campus is set amidst a peaceful, green and pollution free environment with 600 acres of land. 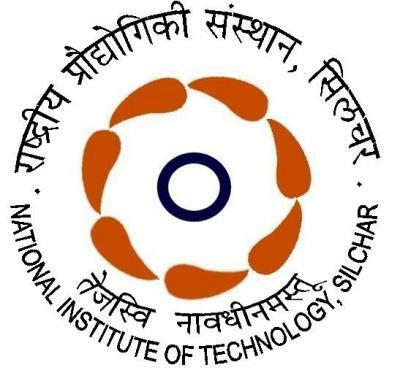 NIT Silchar maintains a high degree of quality in the field of engineering and sciences. Along with teaching, sponsored projects are carried out by the faculty and students in addition to offering consultancy to the industries in the region. NIT Silchar offers Undergraduate and Graduate Programs in various disciplines spanning Engineering, Science and Humanities. The institute has 10 departments with about 200 faculty members and around 2000 enrolled students. The annual intake for the B.Tech. program is 520, with a student-faculty ratio of 10:1. Department of Computer Science and Engineering : The Department of Computer Science and Engineering established in 2008 ( previously under Electronics and Communication Engineering Department ), offers the B. Tech and Phd. programmes. Department of Electronics and Communication Engineering : Keeping in mind the great potential and demand for new communication technologies, the Department aims at imparting its students with the latest knowledge in the field. To complement this the Department has well stocked laboratories housing various modern equipments to enable the students to keep pace with the fast changing technology. Department of Mechanical Engineering : The Mechanical Engineering Department is one of the oldest and finest Departments in the region. The workshops of the Department contain highly sophisticated machines presenting a unique and unparalleled quality. Department of Electrical Engineering : The Department of Electrical Engineering of NIT, Silchar is one of the finest and well equipped Electrical departments of the north-east region. It boasts of having a highly qualified faculty with an unparalled level of expertise in their field. Under the able Headship of Dr. A.K. Sinha and a 14 strong faculty team, the Department offers an 8 Semester B.Tech. Programme in Electrical Engineering, a four Semester M.Tech. Programme in Power Energy Systems Engineering and also a well integrated Ph.D. programme. The department offers core courses in Power Systems, Control Systems, Electrical Machines, Instrumentation, Switchgear and Industrial Protection, Microprocessors and Microcontrollers etc. Apart from these, the final year students can choose from a wide array of electives in the form of Computer Aided Power Systems, Flexible AC Transmission etc. Department of Civil Engineering : The Department of Civil Engineering came into existence since the inception of the institute in 1967 and has bloomed into an absolute department with specialization in major fronts of Civil Engineering like Foundation Engineering, Concrete Technology & Advance Material, Building construction, Hydraulic Engineering, Environment Engineering, Planning, Design and Detailing. The Department offers B.Tech , M.Tech and Phd. Department of Physics : The Department of Physics is actively involved in the experimental research in the emerging areas of science and technology. Ph.D. programme is going on in the department. Broad areas of expertise available in the department are Solid State Gas Sensors, Carrier Transport in Thin Films, Solar Energy Materials, Interface States Characterization in Solid State Devices, Liquid Crystals, Nano-materials etc. Department of Chemistry : The chemistry Department was established in 1977 along with the establishment of Institute. It has been one of the best departments in terms of infrastructural facilities and faculties. It has got many well equipped labs with modern equipment ranging from the highly equipped chemistry Lab to the latest PCs in the chemistry Labs. Department of Humanities : The HSS Department has an interdisciplinary orientation and expertise in three disciplines of Humanities and Social Sciences, namely, English Language, Economics and Management. The Department has been an integral part of the Institute since its inception as the Regional Engineering College, Silchar. Although the concerns of humanities and social sciences can be said to be somewhat different from the concerns of the core disciplines of the Institute, the Department strives to initiate meaningful HSS discourses pertaining to the needs of the engineering disciplines. The aim of HSS in NIT, Silchar is to bring a humane touch to technology and to assist the engineers to develop themselves within the social context. Hence the Department makes conscious attempts to address a range of issues varying from social responsibilities of engineers to culture, literature, management, economics and ethics. 7) Power System Engineering VLSI. 8) M.Sc program for Applied Chemistry. B.Tech : The students who have passed their qualifying examination from the states of Assam, Meghalaya, Manipur, Nagaland, Sikkim, Arunachal Pradesh, Tripura and Mizoram have been selected according to their performance in the AIEEE conducted by the Central Board of Secondary Education, New Delhi. This institute acts as a Counselling Centre for the entire Northeastern region including the state of Sikkim. Reservation : 15 per cent of seats are reserved for SC and 7.5 per cent are reserved for ST candidates. 24 seats (over and above sanctioned intake) are reserved for foreign and other category students for 2006-07.4 (four) seats are reserved for handicapped candidates against Assam open quota within the overall allotment of Assam. M.Tech :The advertisement for M.Tech programme was released in leading national newspapers, local dailies and in the website of the institute. Admissions were offered on the basis of marks in the qualifying examination (B.E./B.Tech. ), performance in interview and the GATE score. GATE qualified candidates are eligible for institutional financial assistance. Candidates are required to have a minimum of 60 per cent of marks or its equivalent in Bachelor of Engineering/ Technology degree. Ph.D : The advertisement for Ph.D programme was released in leading national newspapers, local dailies and in the website of the institute. The candidates were selected on the basis of marks in the qualified examinations and on the basis of interview. The candidates with at least 60 per cent of marks (CPI 6.5) in M.E./M.Tech and first class with 60 per cent of marks in M.Sc./M.A were allowed to apply. B.E./B.Tech degree holders with excellent academic record with CPI at least 8 (70 per cent of marks) were also allowed to apply. Assistantship to regular full-time students with valid GATE/NET score were permitted subject to availability of fund. NIT Silchar is a fully residential campus. There are eight hostels for boys and two hostels for girls. Messes are run privately or by students themselves. Other basic and advanced facilities are available for student comfort. Each hostel is under the care of a warden and Board of Hostel Management (BHM) oversees the functioning. Most of the teachers and the staff members reside in the residential quarters provided by the institute. A house beside the director's office extends hospitality to guests. A new state-of-the-art guest house is near completion. NIT Silchar has a vibrant hostel culture and students are allotted different hostels every year. The distance between Guwahati and Silchar, is 410 km and it takes almost eight to nine hours of travelling, by road, which can get uncomfortable. The best way, is to fly to Silchar from Guwahati. It takes forty five minutes to one hour, to reach Silchar. The best flight to take is Air India IC, which departs Guwahati at 11:20 hours every day and reaches Silchar at 12:10 hours. One can hire a cab upon reaching Silchar, to move around the city. Silchar is connected through meter gauge rail network with Lumding and Agartala and this is currently being updated to broad gauge lines. The railways station is located at Tarapur, Silchar.